The FCC is still working through the public comments about their current net neutrality proposal, and it will be many months still before any final rule is made. But one industry veteran, with over four decades of experience in defining the digital world, suggests that maybe we want to slow down and rethink this a bit. What if, he suggests, true net neutrality isn’t actually everything we think it’s cracked up to be? 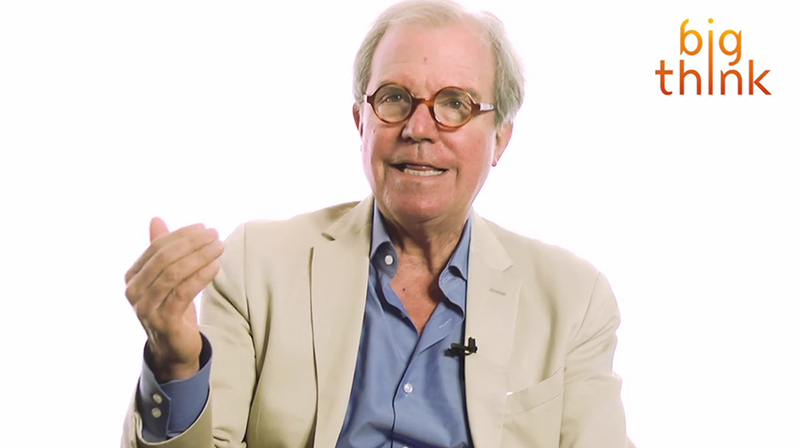 Nicholas Negroponte spoke with Big Think about the impossibility — and undesirability — of true neutrality in an entirely digital world. Negroponte is not a new player in the world of high tech. His career in computer technology spans more than 40 years. He’s the chairman emeritus of the MIT media lab and founder of One Laptop Per Child. He also helped launch Wired, where he wrote a monthly column about the increasing transformation of everything into digital things. Negroponte’s 1996 book Being Digital discussed the eventual doom of physical media (like the then still relatively new CD-ROM) and shift into a world of, as he frequently says, bits, not atoms. In other words, the man is an expert who’s been in the field for a long time, and who has no fear of the digital future (and the digital now). And yet, he says, net neutrality is not actually a good idea. “The term net neutrality has a little bit of a pejorative ring,” says Negroponte. “How would you want something not to be neutral? … Neutrality seems to be a feature of good. And so yeah, you kind of want this to be net neutral,” he says. “But the truth is all bits are not created equal,” Negroponte continues, explaining just how much more data — how many more bits — some kinds of technology use than others. An entire book, digitized, is about a megabyte. One second of HD video, though, is more than a megabyte. And it’s not just about entertainment or communication. With the internet of things dawning, everything needs access to a connection. Using Negroponte’s example makes his conclusion ring true. Literal life and death, in that case, would hang on the ability for certain data to move unimpeded at all times. Losing a stream of Breaking Bad halfway through a season finale might be irritating, but it’s not anywhere near the same league as interfering with a lifesaving medical device. What we need, then, is some kind of middle ground, Negroponte suggests — but he also doesn’t quite suggest where that might be. Instead, he likens available bandwidth to a limited natural physical resource. If it’s immoral to use up all of the air, or water, or oil on frivolous things, is it perhaps also immoral to use up the internet? Negroponte has a point: all bits may not be equal! But the most important, vital bits of data moving around are sometimes not owned by the company with the most money to spend on moving them through. If, as Negroponte implies, all data traffic doesn’t need to be treated equally, then the next discussion becomes the question of who gets to decide for everyone else what traffic gets priority, and what gets sideline into oblivion. And that discussion is both loaded and challenging. We can all agree that pacemakers are important, sure. But are cloud-connected cars? Refrigerators? Thermostats? Ceiling fans? And what about all that streaming video? Netflix is huge but they’re not the only streaming game in town. As we’ve seen from around the country and around the world, live streams of major events, from everyday citizens and from media, are one of the best ways for audiences to learn about major news events. What person, group, company, or other entity then would determine whose information is most important for the world to be able to learn? Negroponte, alas, doesn’t float a suggestion to the questions his assertion raises. But he is sure that digital technology, in whatever form, is still the future. The (6-minute) video and full transcript are available on the Big Think. Verizon: We Still Hate Net Neutrality And Hope It Loses, But We Love Net Neutrality!